Lush Fab Glam Inspired Lifestyle For The Modern Woman: The Phillip Lim For Target Collection Is Now Here. The Phillip Lim For Target Collection Is Now Here. Get Styling With The Phillip Lim For Target Collection. A few week backs we shared the exciting news that fashion designer Phillip Lim was teaming up with retail giant Target to create an exclusive collection of men and women's clothing and accessories for fall. The limited collection has officially launched and is now available in select Target stores across the country with the entire collection and exclusive design available only at Target online. We especially love the trendy leather jackets, white and cobalt blue tops, dresses, blazers and coats that are part of the collection. Read on to see celebrities like Jessica Alba and Solange Knowles wearing the collection. 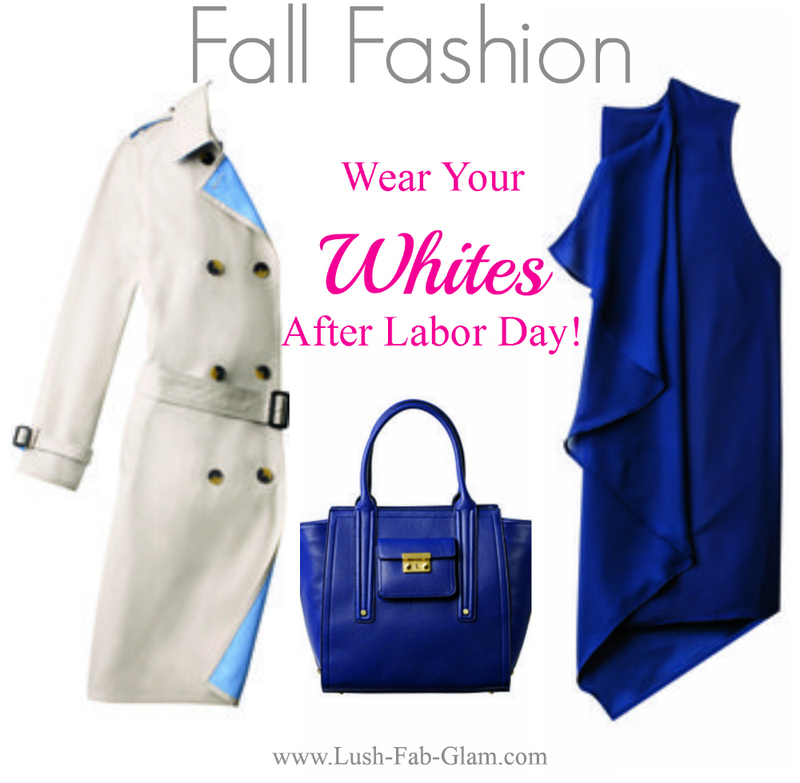 Plus see how we styled our fave fashion and accessories from the collection to help you ditch the myth and stylishly wear your white fashions after labor day. 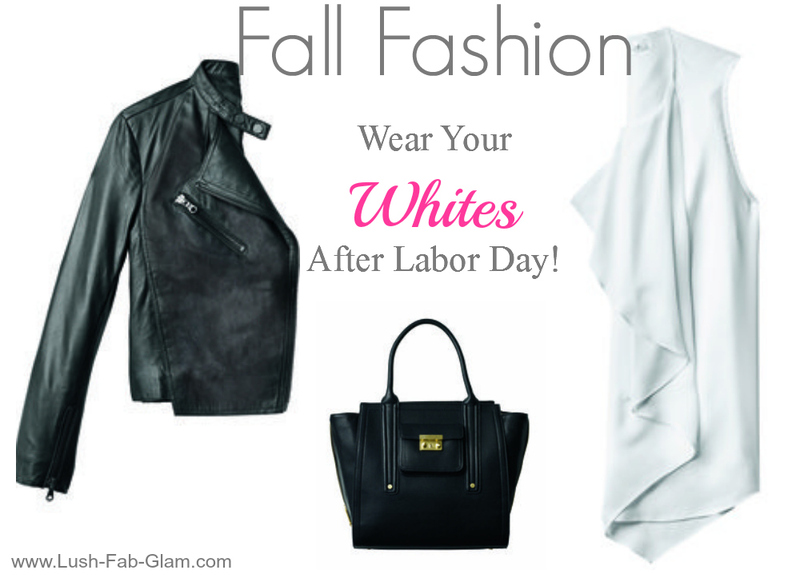 Look 1: For a chic fall look wear a stylish white ruffled tank with your favorite work skirt/pant or with skinny jeans for a day out. Finish off your look with a black leather jacket and black tote bag. Look 2: Look stylish while keeping warm this fall: wear a white trench coat over your work wear or over your cocktail dress. Swap out your little black dress for a little blue dress and accessorize with a matching blue tote bag. Singer Solange Knowles wore a Phillip Lim 3.1 for Target blue tuxedo jacket and silky skirt to the collection launch. Actress Jessica Alba, designer Phillip Lim and Singer Solange Knowles at the collection launch event. Love what you see? Click the link below to shop the featured clothing and accessories from the Phillip Lim for Target Collection. Shop 3.1 Phillip Lim for Target + Spend $50, Get Free Shipping - Valid 9/15-11/16 . Don't forget to share this fab news with other fashion lovers. Cute jackets what are the prices?